As most Mayne Islanders are aware, there are two species of Deer on the island: Black Tail – the local native species and Fallow – an introduced European species that is classified as an ‘invasive species’ by the Province. The Fallow Deer have their origins from a Deer Farm that operated on island during the 1990’s. An escape of approximately 50 animals into our ecosystem has resulted in untold damage to local plant species and their aggressive nature has affected the native Black Tail traditional territory as well as competing for limited food sources. Many landowners note the lack of juvenile Arbutus, Fir, Balsam, Gary Oak and Cedar Trees as well as wildflowers and other native vegetation that is being browsed out by the expanding deer populations. 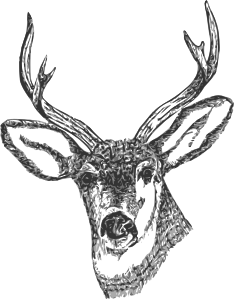 Fallow Deer are from the Cervinae part of the Deer family, Black Tail Deer are part of the Odocoileinae branch. The two distinct subspecies do not breed together. Last year over 200 Fallow Deer were hunted on Mayne. However the population is estimated to be over 500 Fallow Deer at this time and increasing each year. Since 1996 the Province has issued a limited number of permits to local hunters for the end goal of culling all of the invasive Fallow Deer. At this time there are five permitted hunters on Mayne Island, all are well trained, respectful and donate their time and out of pocket expenses to provide a valued service to the community. None of the meat is wasted or sold. There is no permitted hunting of Black Tail Deer on Mayne Island. All hunting is conducted on private land with the permission of the landowner during daylight hours only. Night hunting or ‘pit lamping’ is illegal and should be reported to the RCMP immediately. the Fallow Deer. If you own an acerage that you suspect is being used by the Fallow Deer and would be willing to allow access to your land, it would be appreciated if you contacted the Deer Committee at maynedeer@hotmail.com with your address and contact information. The hunters will respect landowners restrictions on access (ie: hunting on weekdays only or only during certain months) and operate under restrictive guidelines provided by the Province to insure the hunt is conducted in a professional manner. We do recognize there is also a serious overpopulation problem with the native Black Tail due to a lack of predators. However the hunt program is only permitted by the Provincial Government to deal with the invasive Fallow Deer. Further information can be found on this website – click on ‘Deer on Mayne’ which has a series of articles and links to information about deer overpopulation and the effect that it has on local ecosystems. This entry was posted on Friday, June 15th, 2012 at 9:29 pm and is filed under Web site news. You can follow any responses to this entry through the RSS 2.0 feed. Both comments and pings are currently closed.